inMemory+ brings lighting speed to your application with its multicore processing capability. inMemory+ has the capability to process millions of operations through multicore processing. You can see in the diagram how inMemory+ is harnessing the underlying CPU cores while processing data. inMemory+ is very fast and efficient and has an in-memory relational engine. inMemory+ accommodates most demanding and standard support SQL query languages. inMemory+ has the capability to scale out to an unlimited number of machines. inMemory+ has a user-friendly interface. Accelerate applications and power real-time operational analytics with inMemory+. Flexible scale-out on commodity hardware to maximize performance and ROI. Analyze real-time and historical data together. Get data in JSON and XML formats. inMemory+ offers a modern in-memory database that is scalable to easily handle fast data, powerful to make it smart, and fault tolerant in both back-office and cloud environments. By leveraging the distributed architectural elements, inMemory+ database is able to achieve performance, scaling, and high availability never before possible. inMemory+ supports several client access methods including ad hoc queries and HTTP based Restful services. Client libraries in a variety of popular programming languages are available for writing inMemory+ applications. 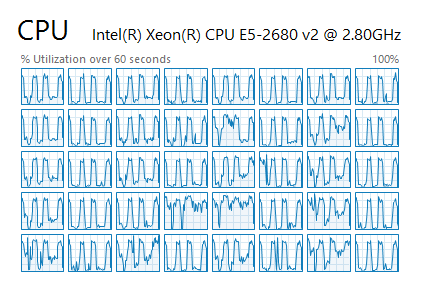 Many computers and workstations have two or more cores (CPUs) that enable multiple threads to be executed simultaneously. To take advantage of the hardware of today and tomorrow, inMemory+ distributes work across multiple processors. This results in a significant increase in performance and efficient utilization of the available system resources.